In researching prairie dogs on the net, I found that prairie dogs are either loved or hated. Ranchers and homeowners are often on the "hate side" while animal lovers and environmentalists are on the "love" side. I noted, too, that those on the "love" side frequently do not live among or near prairie dog colonies. According to one of my sources, prairie dogs have at least one lit ter of pups per year. There are four to six pups in each litter. My feeling is the critters may have two or more litters per year, though I cannot prove this. It's based on how rapidly the population increases. Prairie dogs are social animals living in large colonies. They are said to "kiss" as a greeting. Most sites describe the behavior as rubbing teeth together. This is a good example of humans applying an inappropriate name to animal behavior. If you are questioning the inappropriateness of the term, try kissing your spouse of children using the prairie dog "kiss"--rub teeth together. You will quickly discover that what the prairie dogs do does not qualify as kissing. 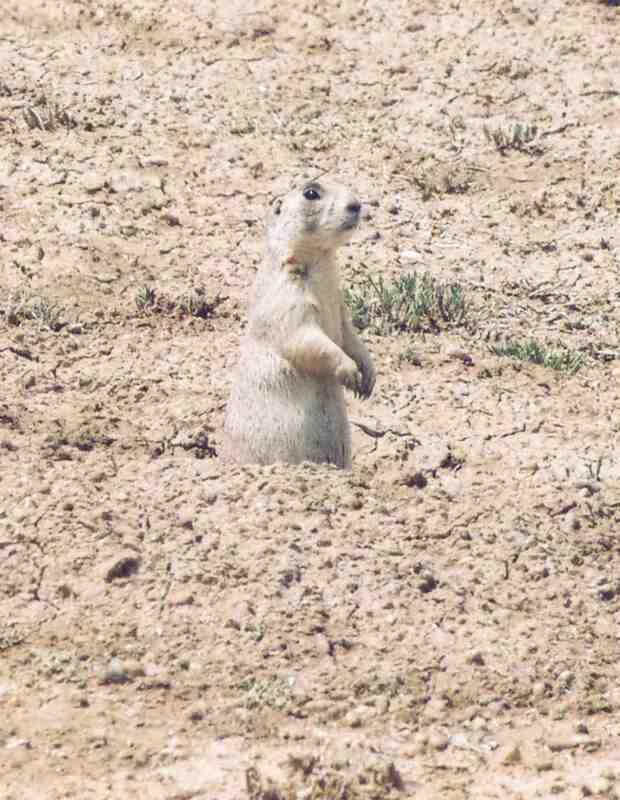 Another interesting use of an inappropriate term is the name itself (given by the early French settlers)--prairie "dog". Prairie dogs are actually ground squirrels, or rodents. They are in no way related to dogs. It seems unlikely that had they been called prairie ground squirrels that there would have been a very large following. 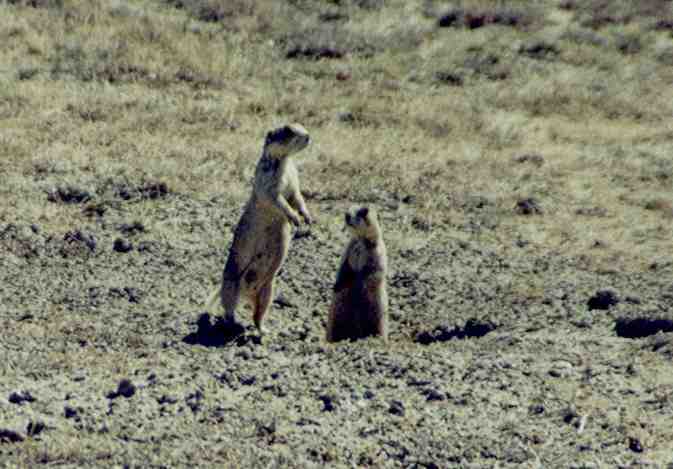 There are other ground squirrels that are poisoned and shot without the outcry that accompanies prairie dog reduction. This name thing is also seen in mirkats--the little critters seen on the Discovery Channel. If the word "cat" wasn't part of the name, the following might drop off. As for the "wasted killing" argument (killing them and letting them lie), I have watched raptors sit on the outskirts of a prairie dog town where people are actively shooting the prairie dogs and the raptors just wait for the people to leave so they can pick up the dead prairie dogs. Later, coyotes, other raptors and possibly even badgers will clean up the remaining carcasses. Prairie dogs should NEVER be shot using a shot gun and left to lie. That can cause lead poisoning in the scavengers that eat the remains. For a while there was an attempt to list prairie dogs as threatened. This appears to have ceased for now. According to one source, there are eight million black-tailed prairie dogs. This certainly does not qualify as threatened or endangered, even though it represents a significant decline in numbers. It seems certain prairie dogs will remain at the center of controversy for quite some time. Finding unbiased information on the animals will remain a challenge. Before you decide where you fall in the controversy, research well. In the mean time, be assured the prairie dog will continue to adapt and thrive.